There was a major expectation over Microsoft Windows 8 when it was launched, but there was a mixed up response when users started to use Windows 8. However the much anticipated update, Windows 8.1, is now available which you can get access over it either electronically or via traditional physical discs in retail shops. Here is step by step process of upgrading to Windows 8.1 through electronic update from Windows Store. Prior to moving to the upgrade process there are couple of things that have to be done before installing. 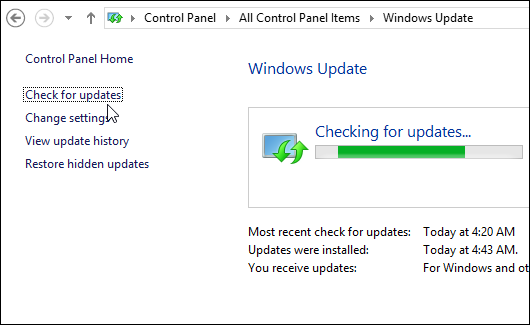 First thing is ensure that you possess all the latest updates for the system via Windows Update. Although you have clicked down the options to receive automatic updates, its best to run it manually to make sure you possess all the latest updates. The second most important thing is to create a backup of all your important documents, pictures, photos, etc. However there is no need to create a system image, although it is safe, it is always good to ensure that everything important is backed up well through external drive, DVDS etc. If you have File History set up, just run it before proceeding with the update. Now it’s time to update and get your new version of Windows. 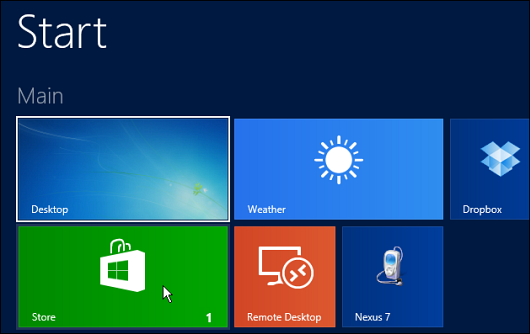 Hit the Windows Key to get to the Start screen and select the Store tile. 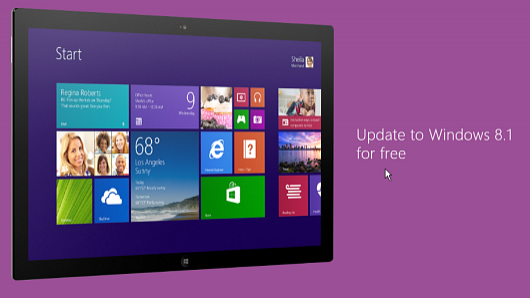 Click on the Update to Windows 8.1 for free in Windows Store. 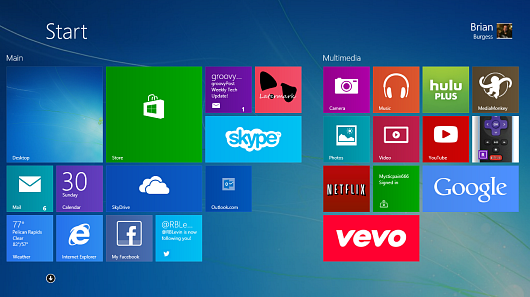 The next screen will show you the brief preview of what new features that comes along with Windows 8.1. Click Install. Now just hold on till the update gets downloaded and installed. The download size is around 3.5 GB for the 8.1 Pro edition, therefore the total amount of time to get download will vary based on the internet connection speed. The good thing is that you can keep on continuing with your works while this download taking place. When it’s done, you’ll receive a message that your computer needs to be restarted. Finish up any work you’re doing and save it because from this point until it’s done, you can’t use your computer. It will restart several times while the 8.1 update is being installed. You’ll see a series of different screens showing you what is going on during the installation. Success! You’re all done. You have the latest version of Windows on your system and you start digging into the cool new features it has to offer. 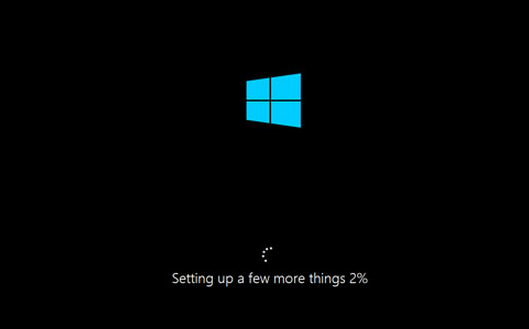 After installing the 8.1 update, I recommend running Windows Update right away. There’s already updates for the final version, one of which is the General Availability Rollup. If you are running the 8.1 Preview version, when you update, you’ll need to reinstall all of your modern apps and desktop programs. One nicety of the upgrade is your modern app tiles will display on the Start screen. Then all you need to do is click the tile to download them. 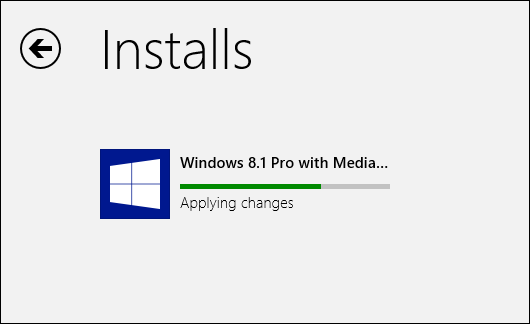 Enjoy downloading Windows 8.1. If you face any trouble please drop your comments through comment section and we will help you.